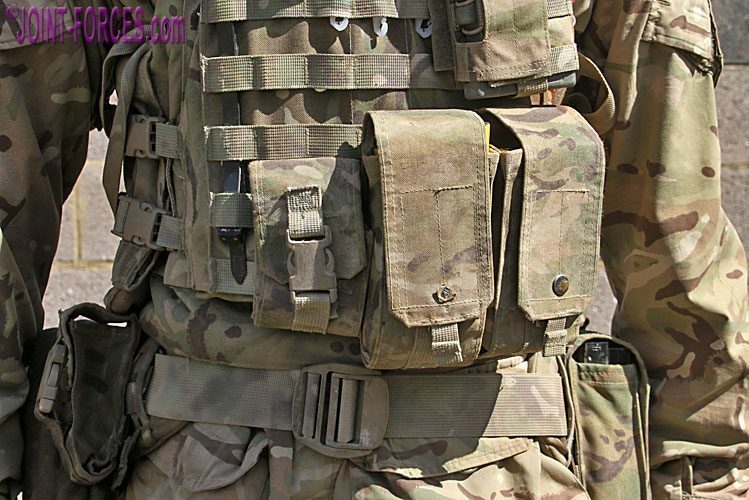 In this article on MOLLE and PALS we investigate how the system works and take a look at the minor variations used by different manufacturers, writes Bob Morrison. 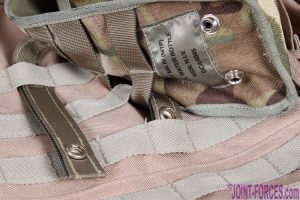 Although many of our readers will not only be well aware of the MOLLE/PALS concept but will also have deployed on exercise or operations with it, here at JOINT-FORCES.com we must never forget that there could be others with much less experience, or subject knowledge, reading our pages who find some things we talk about to be a bit mystifying. Our aim with our features is to try, based on us having been around quite a bit, to interest and inform both those who are at the start of their journey as well as those who have maybe 10 to 15+ years of experience in the military or security industries. 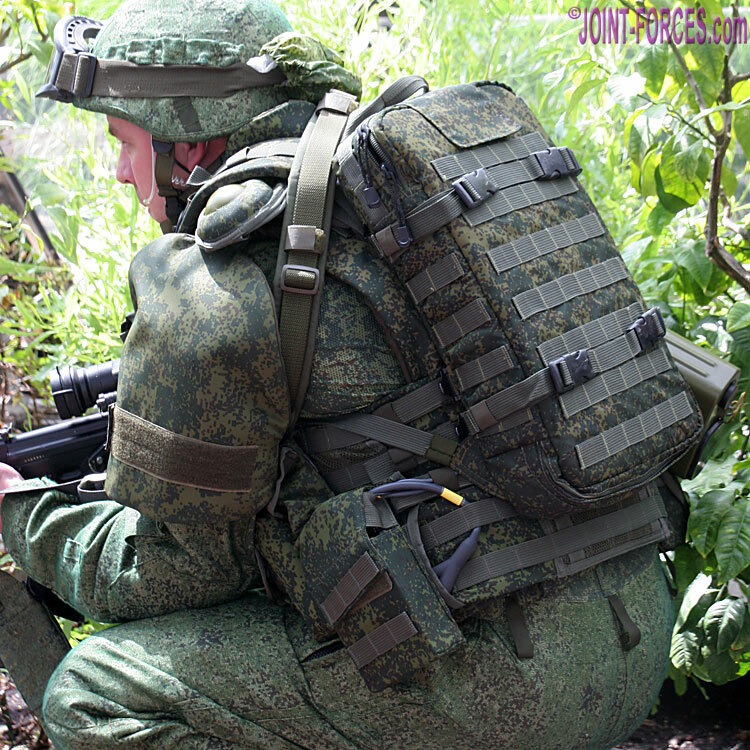 Definition: Modular Lightweight Load-carrying Equipment or MOLLE. 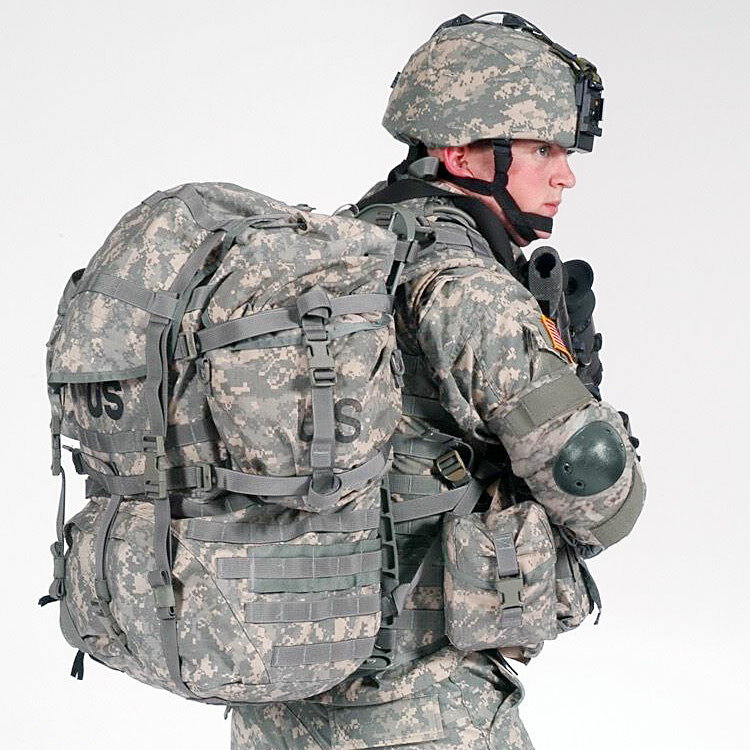 Mission: Enables the soldier to tailor individual loads to meet mission needs with modular and flexible load-carrying equipment. In the beginning: The Modular Lightweight Load-carrying Equipment (MOLLE) was conceived by the US Army, a little over twenty years ago, to replace the 1970s-era All-purpose Lightweight Individual Carrying Equipment (ALICE) equipment in frontline service. 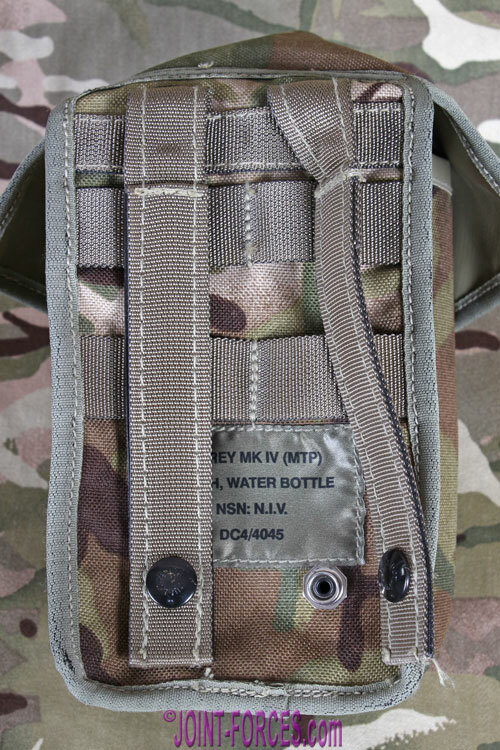 As should be evident from the name, MOLLE is set of equipment issued for load carriage and when first introduced it consisted of: a chest rig, known as a Fighting Load Carrier or FLC, later replaced by the Tactical Assault Panel or TAP; an Assault Rucksack, with carrying frame; a set of Modular Ammunition and Utility Pouches; and an Hydration System. A separate ballistic vest, Interceptor Body Armour, was introduced slightly after the MOLLE system, to replace the PASGT (Personal Armor System for Ground Troops) vest introduced in the early 1980s and this IBA was also designed with PALS webbing tapes in similar fashion to the Fighting Load Carrier. Both the US Army and the US Marine Corps adopted MOLLE/PALS and IBA, with camouflage patterns varying to match the uniform being worn. 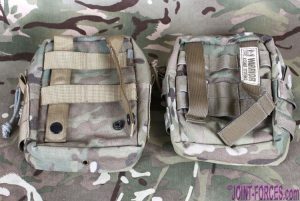 The modular MOLLE pouches were hung off the vest and rucksack using banks of horizontal tapes on the outer faces through which similar vertical tapes or straps on the rear of the pouches were interlaced and then secured at the bottom. 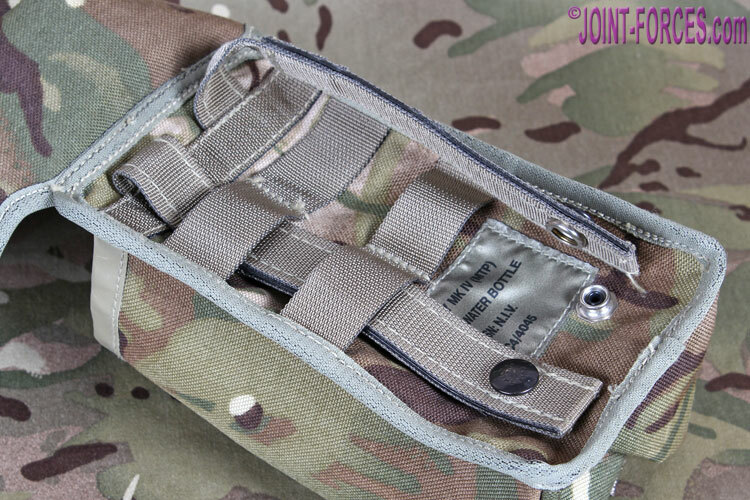 This simple yet ingenious webbing tape configuration was known as the Pouch Attachment Ladder System or PALS. 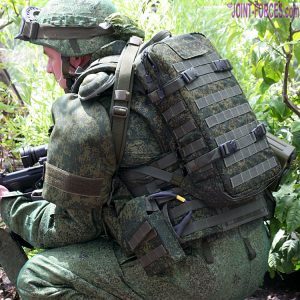 Today it is relatively uncommon to hear anyone talking about PALS, as MOLLE has become the generic term for both the attachment and load carriage systems and most NATO armies now also use PALS, as indeed do the Russians on their RATNIK (Ратник) load carriage system, but with different spacing. In simple terms, the MOLLE system modular pouches were hung off the FLC or IBA and off the rucksack using banks of horizontal nylon webbing tapes stitched to the outer faces through which similar vertical tapes or straps on the rear of the pouches were carefully interlaced to hold them securely. This basic webbing grid was known as the Pouch Attachment Ladder System or PALS; today it is relatively uncommon to hear anyone talking about PALS, as MOLLE has become the generic term for both the attachment and load carriage systems. The US Army was actually a little bit slow in adopting MOLLE/PALS, most likely because they were not involved in large scale combat operations at the end of the 20th Century, but the campaigns in Afghanistan from 2001 and Iraq from 2003 soon saw the system being widely adopted; based on lessons learned in these conflicts, modifications were subsequently introduced including issue of the Tactical Assault Panel and the Improved Outer Tactical Vest, to replace the FLC and IBA, but the PALS concept was retained. 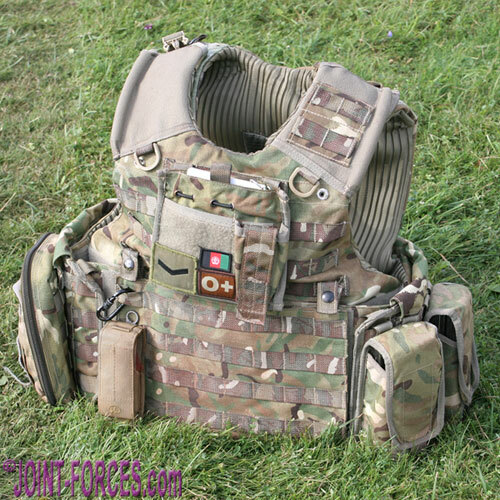 By the time that UK Forces deployed to Afghanistan’s Helmand Province in 2006, OSPREY body armour vests had been issued and these too used PALS to allow troops to configure pouch layout for the task being undertaken; the PALS concept was later carried through on the current UK Forces VIRTUS load carriage system introduced in 2016. 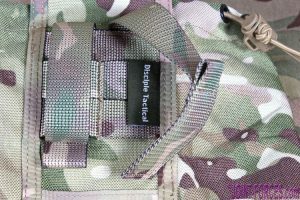 The horizontal heavy duty nylon PALS webbing tapes, which are one inch or 25mm thick, are stitched to both the load carriage equipment and the pouches at one inch (25mm) intervals with the vertical stitching usually, but not always, spaced at 1.5-inch or 38mm intervals. 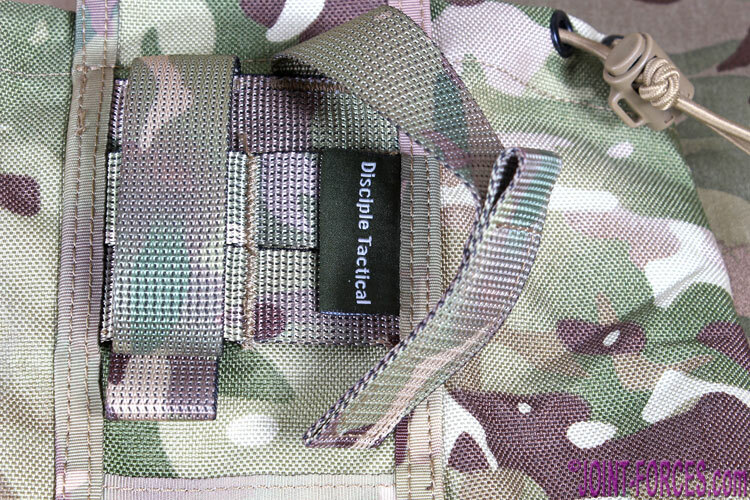 The vertical tapes on the pouches are also inch-wide heavy duty nylon, spaced on the back of the pouch to ensure they coincide with the 1.5” gaps between stitching on the equipment they will be attached to; precise number of vertical straps and space between them is dependent on the width of the pouch and the weight it is expected to carry. The original type of PALS tapes on the rear of pouches, which are stitched to the pouch at the top and bent back on themselves at the bottom to give double thickness, have press stud connectors of the LIFT THE DOT type at the bottom end; this is sometimes referred to as the Natick Snap fixing (after the US Army Natick Soldier Research, Development and Engineering Center in Massachusetts). The only downside to these fixings is that very occasionally a press stud will become damaged and fail, meaning that the pouch attachment strap is insecure and could eventually work loose, and it is near impossible to replace these fasteners in the field. 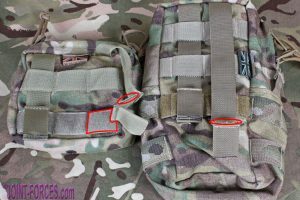 There are several replacement, or alternative, types of aftermarket strap for attaching pouches to MOLLE kit which require no tailoring skills whatsoever but I will leave that topic for another feature in the future. Two alternative methods of securing the bottom of the vertical pouch tape or strap that manufacturers have evolved are ‘tab & tuck’ and ‘velcro tab’. 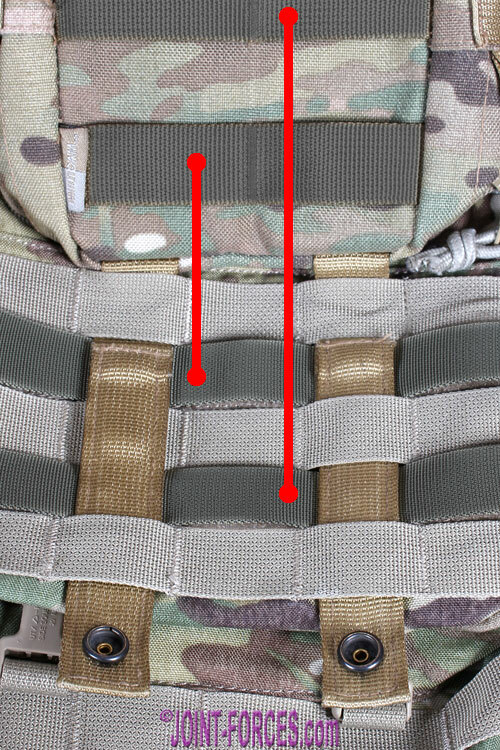 The former, seen here on a Warrior Assault Systems pouch, involves a short reinforced tab which tucks back under an extra horizontal tape row on the rear face of the pouch. 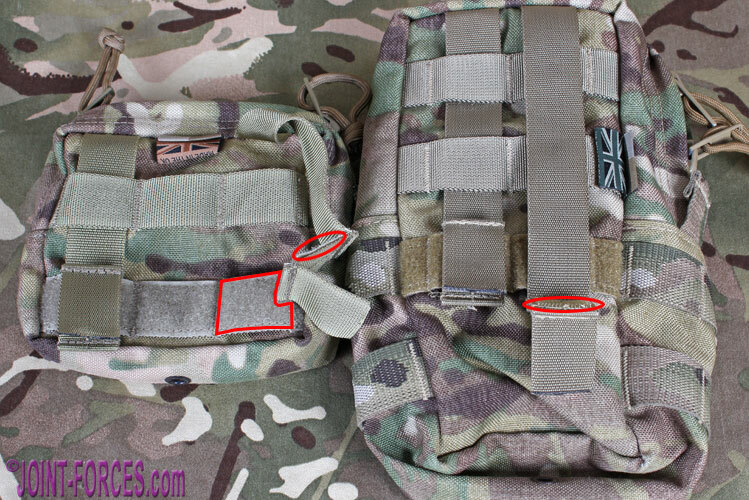 The latter, seen below right on specialist British Tactical pouches, involves a double fold at the bottom with a velcro-type pad behind which engages with a row of felt on the bottom pouch tape for security. Both systems work well and I personally prefer them to studs as neither has let me down over the last seven or eight years. 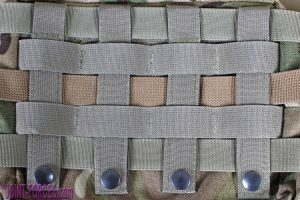 If pressed to choose between Natick Snap, Tab & Tuck or Velcro Tab connecting methods I reckon I would go for the second option; just make sure, however, that the manufacturer has not skimped on material costs by omitting the reinforcement between the two webbing tape layers. There are some very cheap & cheerful PALS pouches out there, but all examples from the British companies on this page are high quality. 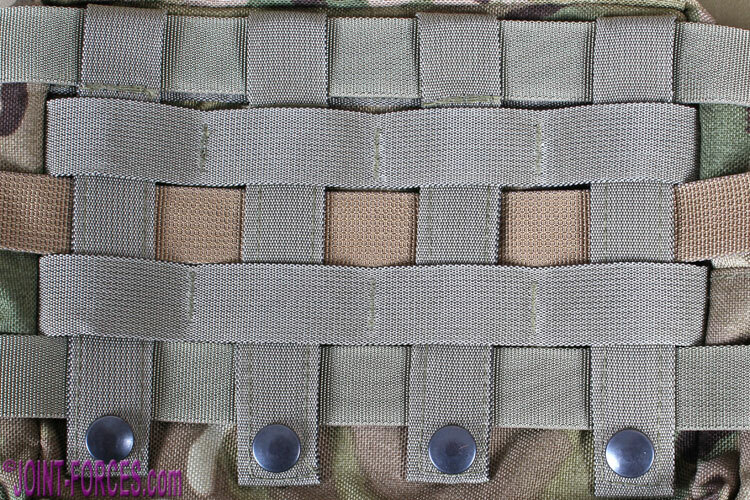 Just as with the original Natick Snap method of fixing found on issue pouches and those made by MoD suppliers like Extra Range UK Ltd, both Tab & Tuck (used by Warrior Assault Systems and Disciple Tactical) and Velcro Tab (used by British Tactical) methods will only properly secure the pouch to the load carriage system base, be that a vest or a rucksack, if the vertical straps are properly threaded out and in through every horizontal webbing row. 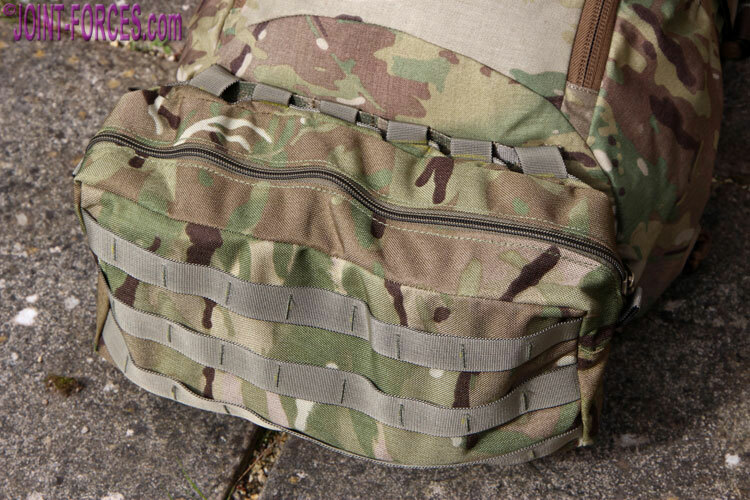 It is sometimes tempting to thread just through the top and bottom rows to save time, but that can be a recipe for disaster as a loaded pouch will not be properly secured / retained and the lower fixing, particularly the Natick Snap, could easily become detached.